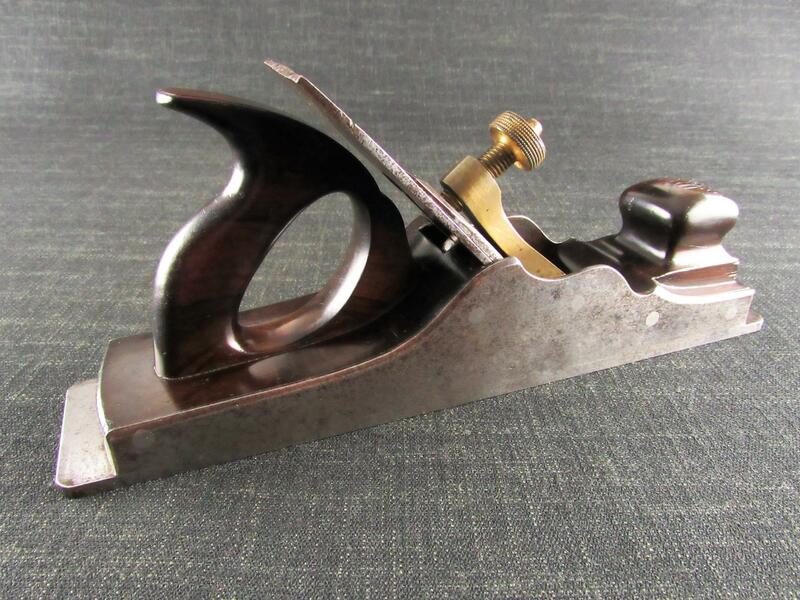 On first impressions this is a typical 13 1/2 inch dovetailed Norris No.1 panel plane with rosewood infill. Closer inspection reveals some unusual features. 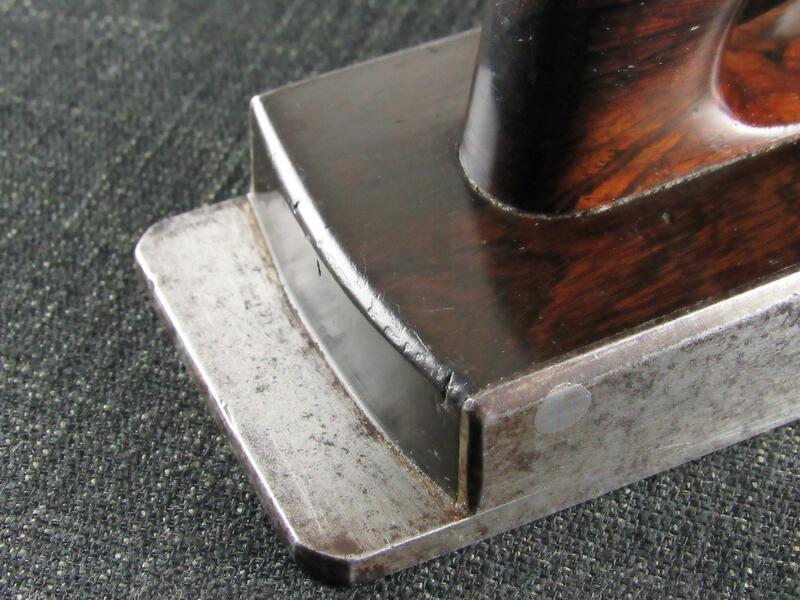 The most obvious difference to other Norris panel planes is the mark on the gunmetal lever cap. 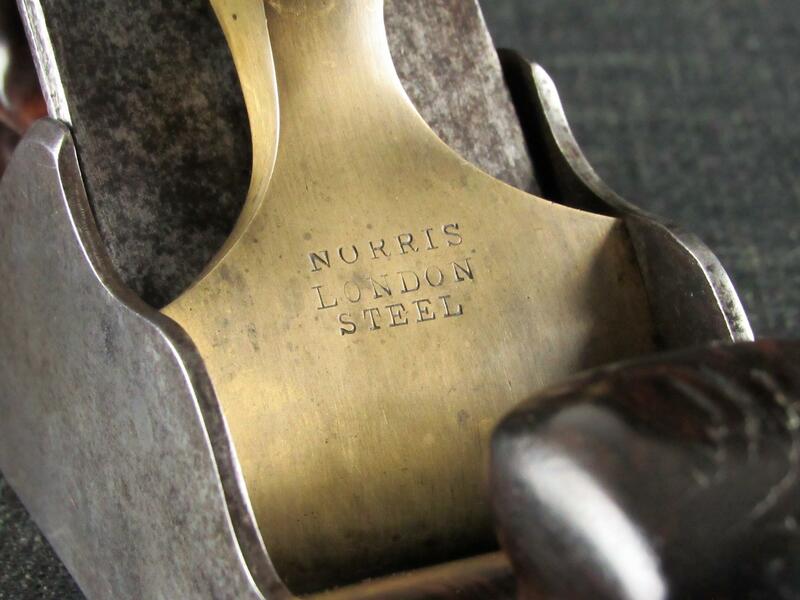 The usual Norris mark is of 'NORRIS' over 'LONDON' with the words in opposing arcs. 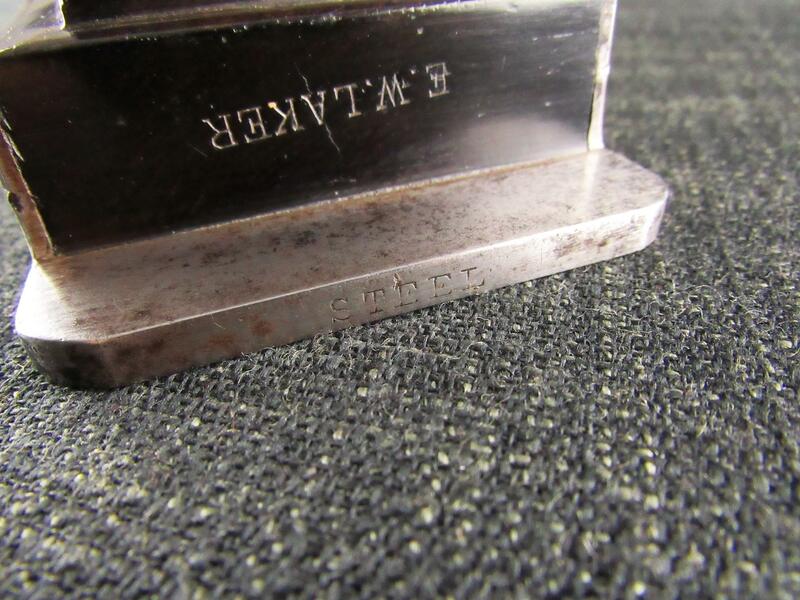 This mark has been struck with three separate stamps (or marks) with each of the words being straight across. 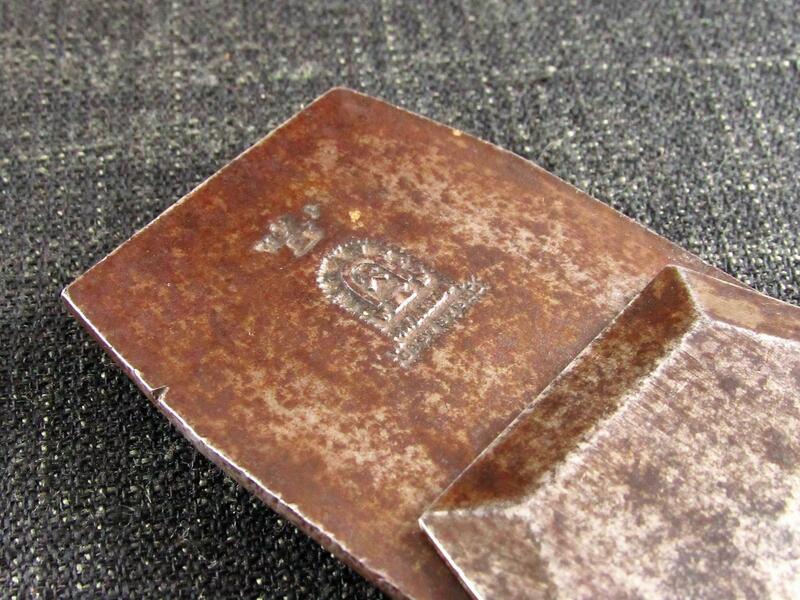 The 'STEEL' mark on the toe is also of a different style with serifs rather than the usual plain text. 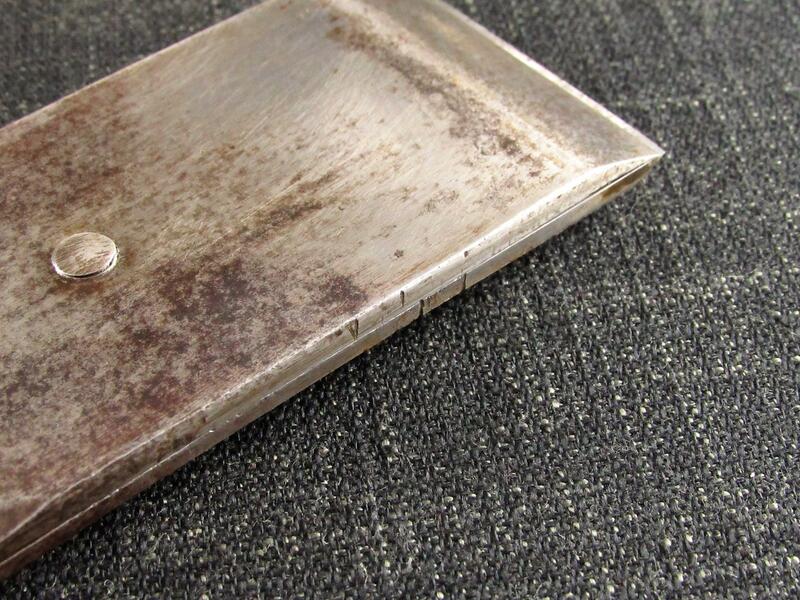 Other people have studied the 'STEEL' marks on infill planes with Peter McBride's article proving an interesting read. To date we know of no other Norris plane with this particular mark. It is worth mentioning that there are some who believe that Norris made planes for Mathieson and/or that Mathieson made planes for Norris. We have no proof either way but this may explain some of the features on this example. The front infill has a graceful curve down to the mouth, different to the angled slope found on the majority of similar manufactured planes. The infill at the heel is radiused rather than straight. 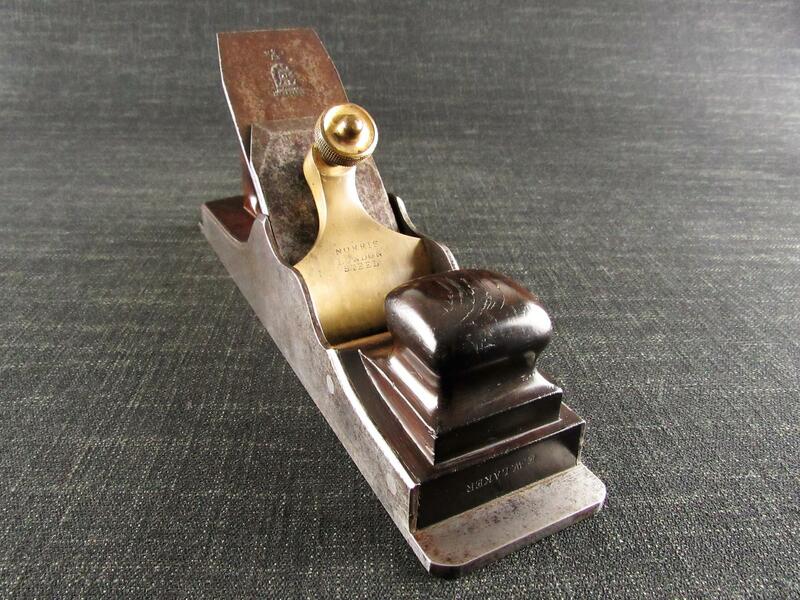 Fitted with a 2 1/2 inch parallel iron by Ward & Payne with matching cap iron. Both are marked '1 1' at the edge indicating that they have always been together. Ward & Payne are known to have supplied irons to Norris, Mathieson and Spiers and we believe this pair are original to the plane. There are no numbers stamped on either the irons or infill. 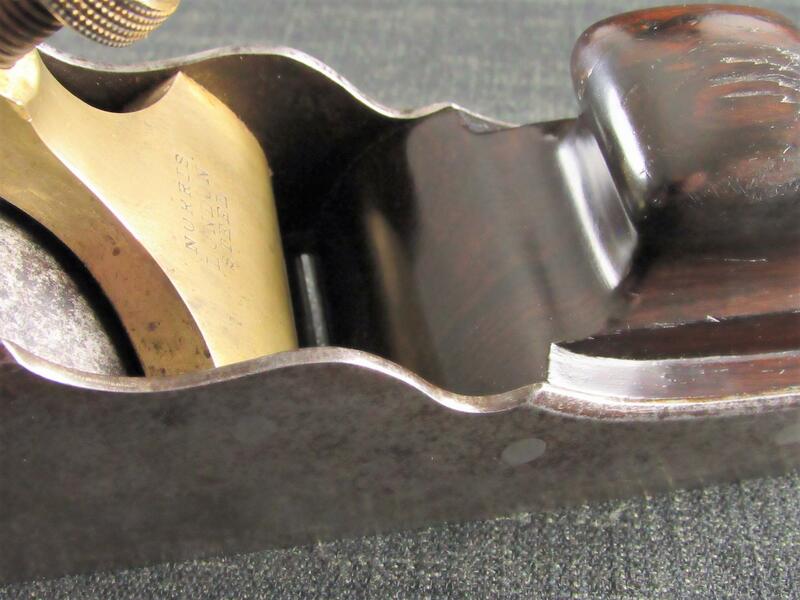 With toe and heel extensions to the sole, something only usually found on the longer dovetailed planes, this is a great looking panel plane which raises more questions than answers.